Two XL "Art Dog" Fashion T-Shirts! Despite Mojo's social ineptitude and clod-like brain functions, nonetheless she enjoys art of all sorts. She has been known on occasion to swill herself down with a rusty bucket of water, wipe her nose on her sleeve and--thus prettied up--hie herself to museums and art galleries just to see the many interesting things people come up with in the name of self-expression. Mojo's Favorite Parents of course spared no expense in their daughter's upbringing and education, so long as it didn't cost them very much, and encouraged these pursuits. Which eventually led to a Childhood Trauma of epic proportions, as I shall now relate. 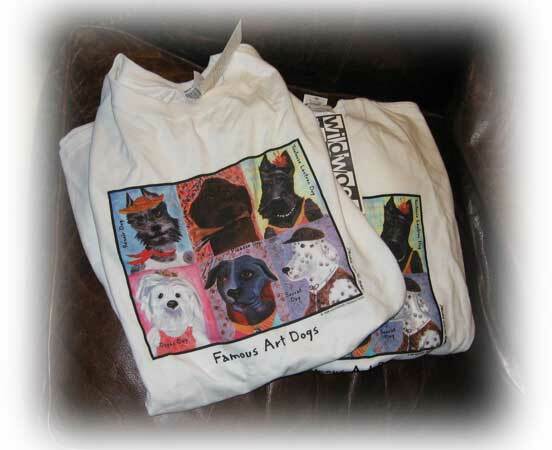 Read more about Two XL "Art Dog" Fashion T-Shirts! Pet Jewelry! YES, Pet Jewelry! Still flush with my apparent ability to break the law with the sale of my bear bottles, Mojo pushes the envelope of legality yet again with this little number! What! a shocked nation exclaims. Who shall our children look up to as a role model if Mojo turns to a Life of Crime? Rest assured, gentle Craptacular reader, that Mojo does not make a habit of trading in illegal goods and services. But the story behind this was Craptacular enough that Mojo is willing--this ONE time--to overlook some of those pesky moral questions in her quest to entertain the masses. That's you. So if I wind up in jail, clearly it's ALL YOUR FAULT. 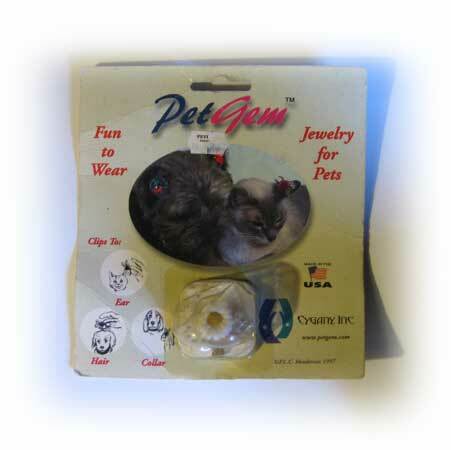 Read more about Pet Jewelry! YES, Pet Jewelry! Ice Age VHS Tape NIB! Mojo has had several Brushes With Greatness in her varied life. This despite her remarkable inability to recognize people, a tendency that causes her occasional embarrassment. It's not so bad in the movies, for the celebrities there are not sentient and Mojo can always whisper to her Favorite Husband: "Is that so-and-so from this or that television show?" whereupon he will tell her, "No, you imbecile, that's who-gee-foo from such-and-such." Whereupon Mojo squints bemusedly at the screen and says, "Yeah, I guess so..." Assuming he remembers the name, that is, for Mojo's Favorite Husband cannot remember names. So the two of them often engage in this weird mind-reading quiz interaction in which Mojo starts naming names and television shows or movies and her Favorite Husband is going "No, that's not it..." and then after ten or fifteen minutes it slowly comes around like a bad comedy routine and it turns out it IS that person. Hey, it works for them, and it keeps them communicating with one another, which is important in any relationship, and they are polite enough to whisper instead of ruining the movie experience for their neighbors by doing this very loudly and rudely, which is how SOME people do it. 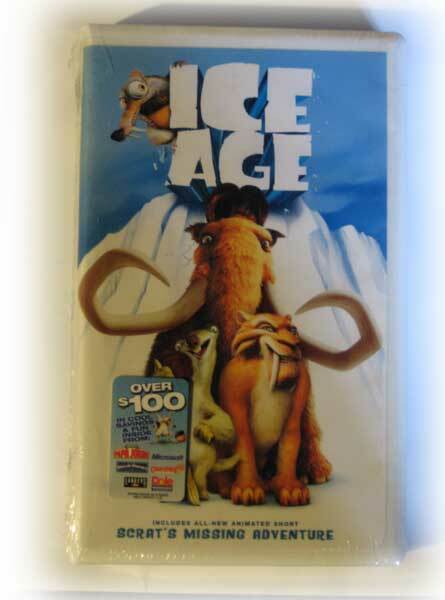 Read more about Ice Age VHS Tape NIB! Mom's SHEEP Collection, Volume 4! Mojo's Favorite Mother also used to collect sheep. Not anymore. At least, this is what I gather, since she has given me a huge box full of things she once collected and now wants to get rid of. When I ask her why all she says is "I'm throwing things away." Mojo likes to think that it is her own influence, simplifying her life through the Craptacular, now rubbing off on her loved ones. But there is also the nagging suspicion that her Favorite Mother has just found an excuse to send her boxes of crap. Which is it? Only time--or an irate phone call from her mother yelling at Mojo for something she said about her on the Craptacular--will tell. Read more about Mom's SHEEP Collection, Volume 4! Mom's SHEEP Collection, Volume 3! 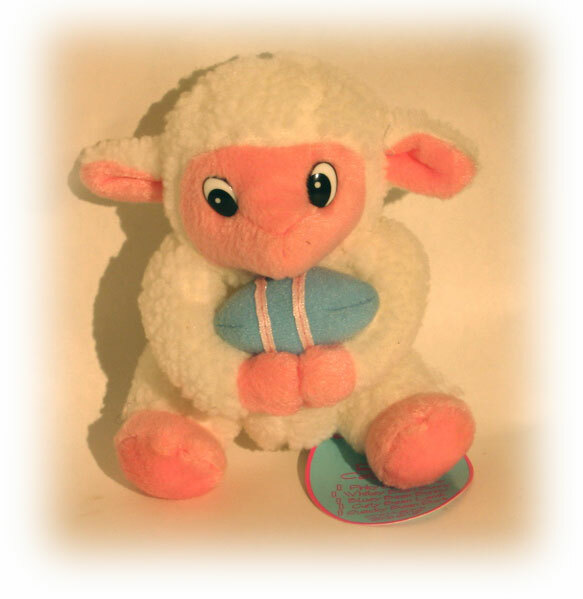 Read more about Mom's SHEEP Collection, Volume 3! Mom's SHEEP Collection, Volume 2! 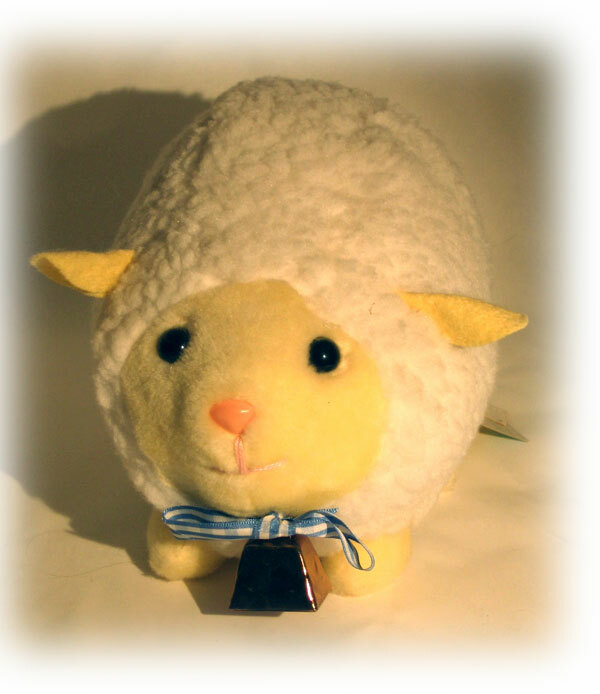 Read more about Mom's SHEEP Collection, Volume 2!